Romance can bloom in many different environments, as was the case with Alicia and Sam, two intellectuals who were both randomly brought to a night club by friends and had a chance encounter. The club scene usually involves a significant amount of drinking and dancing, but when Sam and Alicia met the topics of conversation were healthcare and hiking. 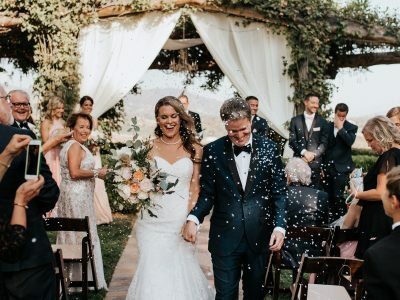 They had a instant connection and that chance meeting at a night club turned into hiking trips, vacations together, an engagement and then a wedding in Temecula, California at Europa Village Winery. It really is crazy how life works out! 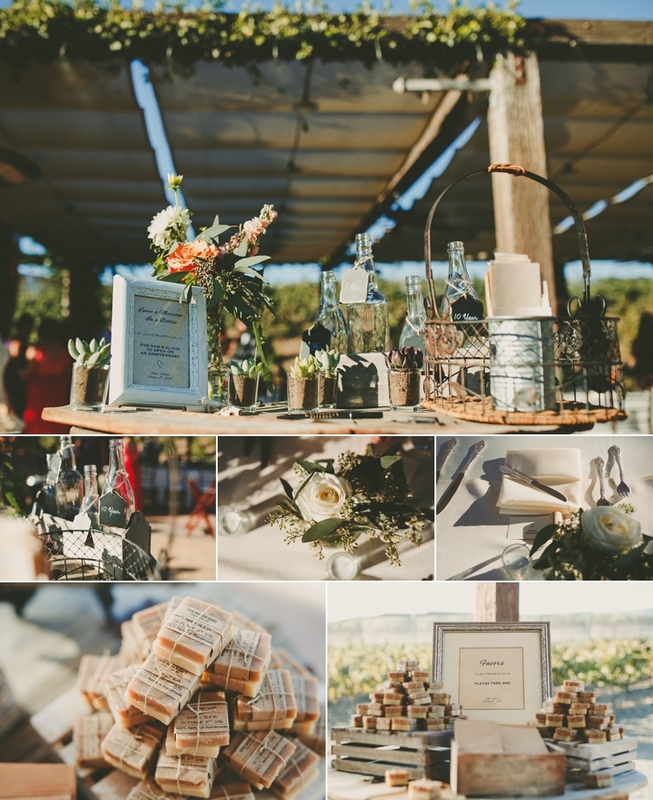 While going through the wedding planning process Sam and Alicia wanted to make things as simple as possible because they both have very busy work schedules. 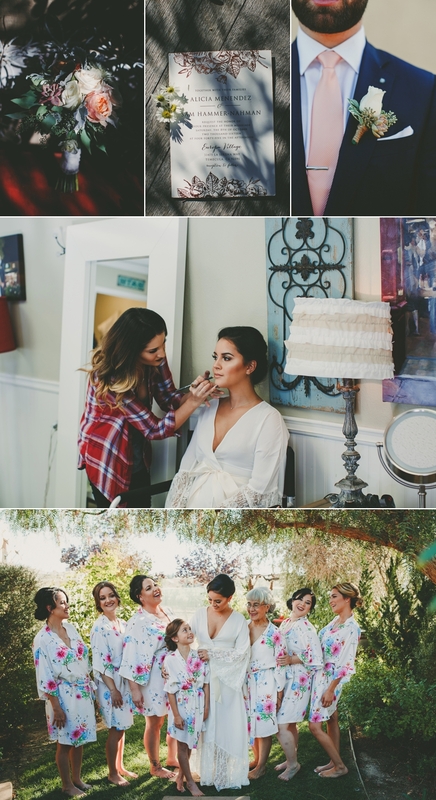 Therefore, it was important for them to find a wedding venue in Temecula that really took care of the little details. 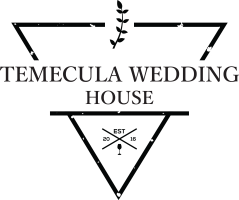 After looking at many different wineries in Temecula that offered weddings, Sam and Alicia opted to get married at Europa Village Winery which is located right off Rancho California Road. They loved how the ceremony site was very close to the wedding reception area and how the entire dinner would be served outside under beautiful market lighting that was provided by the venue. This would keep the wedding guests close together, interacting with one another and having a good time throughout the evening. In terms of style, Alicia wanted a classic and romantic look. Her bridesmaids wore light green dresses that each had a different style so each bridesmaid could show off her own unique personality. Alicia also wanted a wedding dress that was not only elegant but functional so she could dance the night away without having to swap into a reception wedding dress. Alicia opted to have a first look so the couple would have more time for photos after the wedding ceremony, but she still wanted to surprise Sam during the ceremony. 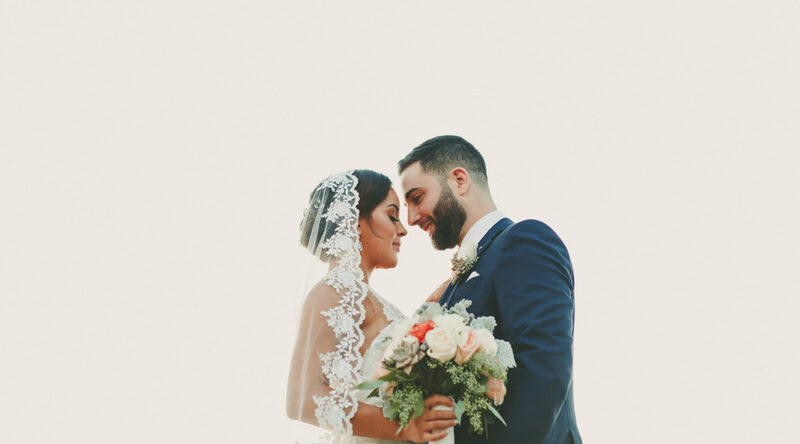 Therefore, she did not wear her wedding veil during the first look and his jaw dropped when she came walking down the aisle in all her wedding glory with the veil. It really was a great idea! 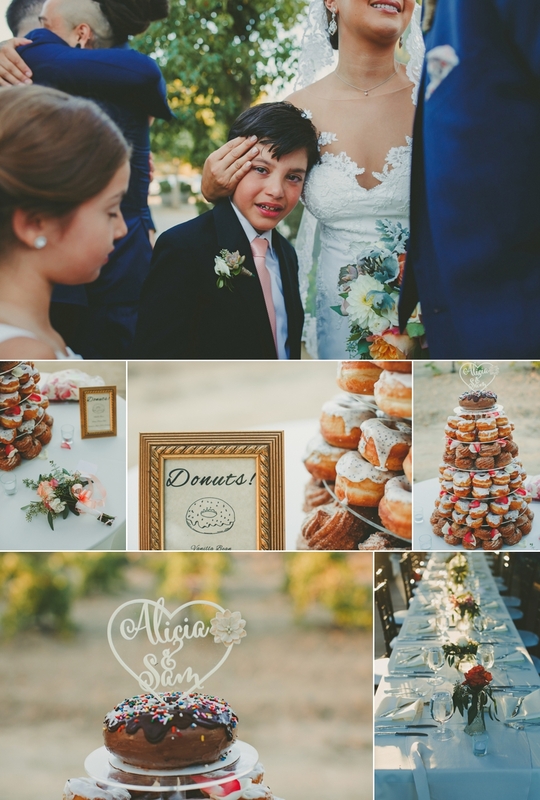 One of the things Alicia highly recommended was personally meeting or having a Skype with all the wedding vendors. 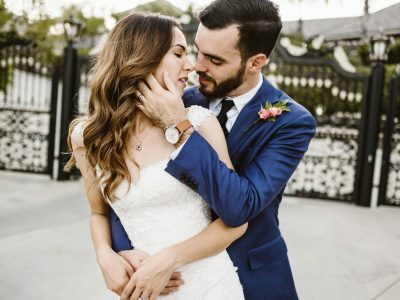 She explained it was important to not only check the online reviews of wedding vendors they were planning to work with but also get a feel for their personalities. Sam and Alicia wanted to have a good time at their wedding so it was important that the wedding vendors they hired were not only professional and excellent at their jobs, but also cool people they would want to hang out with on a 10 hour wedding day. 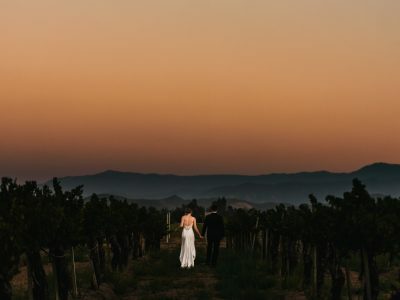 Thank you to Temecula wedding photographer Ryan Horban of Rock This Moment photography for sharing this amazing wedding at Europa Village Winery! To see more photos from this wedding and read more about Sam and Alicia please check out his blog post about the Europa Village Winery wedding!